YouTrack enables you take advantage of IDE-style intelligence to save your team lots of time on issue tracking and task management. Use smart search queries, batch issue modification and handy shortcuts. Let every team member be as productive as they can be. "Keep easy track of your bugs with YouTrack"
I have been using YouTrack primarily for the two features: bug tracking and customer support. Keeping your bugs in one place is not the only thing that the software offers. You can effortlessly customize the set of issue attributes based on your company's needs (for example, bug priorities, bug types, teams, data about sprints, etc), work with multiple issues at the same time and pin your bug reports to support requests for further follow ups if necessary. It's not a secret that a company might have a thousand of open both bug reports and feature requests at the same time, so to avoid duplicates when creating a bug report, the software will offer a list of similar issues to you. This feature is also useful when you are replying to a user since you can quickly copy and paste your previous response and save quite a lot of time without additional searching. It's also important to mention that the software is free for the small teams (up to 10 users) and for the teams working on open source projects. Throughout over two years of my experience with YouTrack there has been nothing that could cause any inconvenience to me. The software allows me to easily create and track my bug reports and also escalate these reports to other teams if it's necessary. This results in quicker fixes and keeping your product at its best. "The opportunity to build the projects in time." I like the way of clever search. Gives me the ability to find everything that I need in no time, using smart search request with perfection. I'm glad that I can accelerate the daily routine in a comfortable way. Much better to make multiple panels and share them with my employees or other user teams. I don't know what I can say bad about this software. Tracking system is working good and fast so I'm not complaining about it. Actually its better helper than a bad routine of our working days. The powerful solution to work at your business. I'm sure it is will the best key for your track and report system. Perfect step to know everything about your employees. To use that product is really simple. I recommend to you and I hope that this platform will assist you every time. We have a much better plan, estimate and control our team’s work by tracking the time existence spent on progress and other performance. We think that is always good to know how and where we work. I can say that we are higher inspection progress and analyze project facts with reports. "Issue tracker for progress team. Very easy and fast." I can say that here is very clever search. To find everything I need in no time, using clear search queries with ending.I can easily rate up to the daily routine with comfortable shortcuts. Very useful and easy to work. A nice and productive tracking system which is working well doesn't making any bad issues for us. I like that I don't have any problems with use it. The better plan, evaluation and control your team’s work by tracking the time essence spent on development and other activities. Productive monitor progress and analyze project information with powerful reports. A great way to know anything about your workers. We are glad that we can work with higher control progress and dissect project information with reports. The plural and shareable panel. To build multiple dashboards and share them with our working team or another user. "A brilliant tool for bug tracking"
I really love YouTrack for its ease of use. Also, this service can be easily configured for each project and for a specific user. The product is very convenient configuration of the key combination. I also like a lot of shortcuts, which are very easy to navigate through the program. Personally, I lack some indicators. I would like to see more reports in the next updates. Also, this service does not have a friendly interface - a beginner will find it difficult to quickly understand it. If you are already familiar with the products from Jetbrains, then you are already familiar with their quality. If you need a great tool for storing the problems of your project and all the problems of your team - Youtrack is definitely what you are looking for. With it, you can easily enhance the control of your team. Our team has a large project and we needed a service to monitor the functionality and problems of our product. Since we already use other Jetbrains products, we decided to try YouTrack. I like the smart search, it is convenient for them to use. With its help, it is possible to find anything in the shortest time. I also like reports, they help to monitor and analyze your project more efficiently. Recently, I started using YouTrack Mobile as well. The mobile client is quite convenient, it shows unfinished tasks and you can easily plan your time. Great product. I have no complaints. In general, I am completely satisfied. It is a really good choice from JetBrains company. I use a lot of software from that company. If you are looking for a quality service, do not doubt and try the YouTrack. We are working on several projects at once, this is our main goal in a short-term solution of problems. Integration of this service was very quick and without any difficulties. If we had any questions, the support service quickly solved them. With the help of YouTrack, our team began to better plan the work. We monitor how much time is spent on development, and how much time for other activities. "Awesome product, ahead of the competition"
The guys-developers from JetBrains are just great, Youtrack is just great. I really love the support of keyboard shortcuts for any action. Backups are created automatically according to a specified schedule. There was an integration with command products JetBrains, BitBucket, and GitLab. Improved integration with GitHub. The new reports are very helpful. I do not have any special comments to this program, but from a huge number of functions the speed of work a little suffers. The user interface can be a little better for beginners. Great program. The price is acceptable, and for a small team of up to 10 people, a free package is enough. I have recommended it to many other people. We tried a lot of issue / project tracking product but we chose YouTrack. We've been using this for a little over a year for all issue and task tracking. Flexible system setup for workflows of any complexity saves time for the whole team. All the code changes are conveniently viewed and discussed in Upsource, this is a very convenient integration. Now I can have the better estimate and control my team’s function by tracking them. To have effectively progressed and analyzed the project with help of strong reports. Until this moment I don't have any issue. Actually, with this program, my work becomes more productive. Everything coming in time. If something will come up I can easily take an answer from online support. In this Software you will have everything that you need. Powerful report and tracking system. By tracking system, you will have the best chance to control your working team. Helps to my team be on top of our project. Ability to access our mobile.And connect with my working team everywhere I want. Helps to us to find everything that we need. "Extremely easy to track tasks and assignments!" The dashboard is the feature that I like the most. It gives a snapshot of the most recent tasks for the particular project, makes it easier to search through recent tasks. Another feature which makes Youtrack extremely useful is the comment features enable for the entire team. The team can not only engage through comments over a particular issue but also upload attachments alongwith the comments thereby making available everything at a single place. The user interface is a bit too technical and for the first few days seems complicated to use. The access rights which needs to be provided to all the users is a bit unclear. At times , I have faced issues while adding team members to projects and assignments only to later find out that they are unable to create issues or assign or post updates to the tasks assigned to them. If you're responsible for managing a number of tasks and a team, Youtrack will be extremely useful for you in managing the responsibilities with ease. Managing a big project like overseeing the development of a product entails keeping track of hundreds of individual tasks and items. Youtrack actually helped to manage all the tasks, with features like assigning a task to a particular individual in the team. In a nutshell, Youtrack will encourage accountability within the team. When all the tasks and issues are listed and assigned alongwith the expected due dates, it will help in ensuring the the project gets completed on time. "Project management and tracking tool for developers"
In our company, we use YouTrack both for tracking developer tasks and marketing tasks. I'm in the marketing team and for me, this tool works okay although obviously it's just not made for my kind of tasks. However, it works fine as a task tracking tool for me. Adding and formatting comments, as well as tagging people in them, is easy and convenient. You can also attach images to a task or a comment in a simple copy-paste manner. I don't really have any particular problems with YouTrack. It may not certainly be an eye candy and super intuitive but it looks and works fine. We use YouTrack to keep track of tasks, both for the development team and the marketing team. The development team uses the sprint methodology, as well as agile boards. However, the marketing team does not make use of this functionality. They ability to customize properties, dynamics, search and of course the pricing, it was FREE. DESIGN. The most awful design ever. UX is horrible, such a great tool but such an ugly. When i tried it for the first time, i tho wow cool, it's free, but then, it get's annoying really fast, no flexibility on UI. Please do some work on UX. Such a great product but so terrible gone wrong with the UI/UX. We were using it for couple of projects, when we were developing mobile apps. First thing first - it's free, our company liked this much. Cuz alternatives required a lot of money investments. "Good PM software, has some flaws"
I enjoy the cleanliness of the software, it's robustness when it comes to setting up projects in specific ways based on team need, cost if self hosted and the mobile app. I really dislike the notification system. The one thing this software lacks is true notifications and an activity feed that's customizable. We manage all of our non biz dev related projects in YouTrack. That includes all of development, design and research. We also manage bugs, sprints and prioritize projects and requirements. "I use the youtrack daily in my company. I am a web-developer"
- good at task management: comfortable tasks overview, navigation. - timetracking and time reports - they are is not automated well, there is no pause/play timer for working times. TIme reports and general reports are not flexible enough. - project overview is not implemented: you cannot provide any data for a project except name. Would be good to have separate pages for projects where you can set project start, end, estimate, etc. -does not provide "wiki" pages. Pros: Youtrack is really good at tasks planning, navigation. Suits for agile teams. Cons: Weak at project management, does not have a proper projects overview. We use youtrack for Project management, planning and communications. Youtrack is really good at tasks management, you have a good overview of tasks, it is easy to navigate and see tasks relationship. It is good for 'agile' teams. You have agile board, can easily manage sprints, milestones. There are a plenty of things I like about YouTrack. First of all, its support for a wide range of processes and how it allows customization of fields and workflows. Besides, it has strong agile support: board, backlog, burndown charts and a huge range of reports. What also sets YouTrack apart is this: in YouTrack you can search issues by entering various queries such as "for: me #Unresolved" and it gets you all unresolved issues assigned to you. I did not find anything I do not like about it, seriously. I found it so much easier and better to use rather than Atlassian JIRA. From the very first day I switched to YouTrack, I never thought about using JIRA ever again. If you already use JetBrains products, you most definitely gotta checkout YouTrack for yourself and your team. If not, it is a great chance to start using all of them including YouTrack and getting all of its benefits right away! Our workflow is not possible without such a great issue-tracking tool as YouTrack. Despite the fact that our team is not that big, it still would be impossible to track all tasks and issues otherwise. "Works smoothly, quickly, and in the way you want"
YouTrack can adapt quite well to your workflow, and integrates well with other tools. Advanced features are intuitive once you know the basics, but it's not super-easy to feel your way around with no introduction. Agile project management for embedded software. It's given us functionality that facilitates an Agile process, where we didn't have this capability before. "Great solution for bugs and dept sharing"
I love that I can enter bugs and tasks and they can be tagged to multiple people and my team can share things back and forth with each other. There are some little nuances in the program that are probably more on my end but it seems like some things could be cleaned up a bit. Attaching a file or something is not available when creating a new card so that's a bit annoying. We use YouTrack only with our web design and web dev teams. It's a great piece for collaboration between the two teams. "It works great for what we need it for"
We are an international company with different teams for every aspect of marketing, so this is a great way for us to keep tasks organized. It was kind of hard to learn how to use, but once I got the hang of it, it was great! We use it to create tasks for our email marketing team. It's made life so much easier because I don't have to constantly message or bother them to get things done. "A brilliant tool to manage your development teams"
@team mentioning, easy to setup, very customisable meaning it can flex to suit multiple development teams using multiple methodologies, updates add incredibly useful features, easy to update, easy to manipulate data so importing and exporting is very easy. Very quick to use and update and the wiki markup just works. Simply AMAZING for teams to submit tasks to one another. No out the box plugins with other systems. In built reporting works but not pretty. UX is very functional but not a pretty tool to use, which puts some off. Time reporting leaves a lot to be desired. Fantastic for tasks but hard to run projects within. I would reccommend to review what would be the majority use of youtrack before developing. Individual task managed is where the tool excels - and can do easily; it WILL bring effciencies into the team and install a lot of good practices to their workflows, even from minimal youtrack builds. However, project management requires significant more setup and it does feel a lot more native to unrelated, development or team tasks to projects working to particular methodolgies. As such, as much as I genuinely love youtrack as a development tool, i would advise against it for pure project management. We needed a single point of entry for all tasks for our development team, so they could be managed, resourced and prioritised accordingly. Youtrack certainly fills that objective and more. The benefits are a much better organised development team (that span multiple countries) with up to date tickets throughout. What I like the most about YouTrack is the amount of features available. You can link issues/tickets together, which is quite useful when you're creating a multitude of issues all under one umbrella issue. In fact, when you're creating new issues, YouTrack highlights and searches for keywords to find related issues. This is helpful if your organisation is large and finding duplicate tickets. It's easy to search for keywords and even easier to filter out the results so that they're relevant to you. I also like the email notifications. Initially, when I first started using it, I found the interface clunky. It took a while for me to get used to it, but once I did, I became happy with using it. That being said, a sleeker, more intuitive design would be nicer. Definitely trial it first and see if your team likes the feel. It could feel too clunky & technical for some users, but others would love it. An organised and central place for time managing projects, assigning tasks and resolving issues/bugs within a team. The time management is especially beneficial as it allows managers to keep track of where users are within an assignment and allows users to update tickets with any setbacks they may be having, and their progress on the task. "Flexible and perfect for bug tracking"
How flexible it is. You can customize it entirely and it lets you add a lot of options and sections for every case you may need to fit your organization workflow and feature/bug tracking. Sometimes it can be a bit complex, but you know: with a great power comes a great complexity! Youtrack is definetly a great option if you need a tool to keep trak of your project or issues with all your team. It is so configurable so it can fit any team role and it also has many integrations with third party apps that makes workflow and task tracking even better. You can get everyone involved without leaving your current workflow behind. We're using Youtrack to keep a track of the features and issues of our productes. We're a big team of remote developers so it is crucial to keep everything perfectly organized and under control. Youtrack is the best tool we've tried for this purpose. 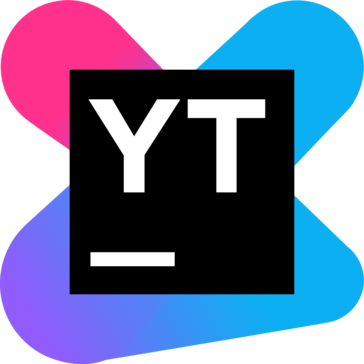 "Youtrack - The Jetbrains magic for your team"
Youtrack is a bug/issue tracker, it will allow you to manage your projects, team, issue and development process, from posting a new issue to closing it when it's done. First, one of the best thing about Youtrack is the fact that you can host it yourself, which will save cost for your company. You can also rely on well made integration with other jetbrains products, like IDEs or TeamCity, but also with other companies products like GitHub or Bitbucket for example. Deploying Youtrack is really easy with a well made documentation and the possibility to deploy a JAR. You just have to prepare a new user, and launch the server. Youtrack doesn't really have a good user interface, you sometimes find yourself struggling to make something should be a lot more easy to do. For example, you can't remove a user from a project. If you've added someone that doesn't belong to a project. You will just have to leave it like that, which is very frustrating. The only maje flaw in Youtrack, is it's poop user experience. If you need a good bug tracker that you can host your self and that working like a charm with the Jetbrains environment, stop right there, you just found it! My company was in need for a good issue tracker to allow us to work more efficiently, since we were already using other Jetbrains products like Webstorm or Phpstorm, we didn't really thought about changing. Youtrack as been a really good way of solving our managment and communications issues. What I like the best about YouTrack is that it covers all my needs in terms of team management, and client issues management. The only thing I would love to have on YouTrack would be an automation for archive the issues one by one rather than per project. the only fair comparison with YouTrack is Jira from Altassian. We manage a custom ERP for a group of clients, and we manage new requests, bug reports, and improvements. But most of all we manage priorities in collaboration with the clients. You have a command prompt, you can actually write commands to do everything on YouTrack. Plus, you can host your own YouTrack server. The UI could be more polished, but hey it doesn't matter much. We were using Redmine before, which looked like a console to write SQL queries, plus it wasn't as customizable as far as I could explore it. "Great tool for organizing work flow and tracking progress"
Easier organization of bugs and features. A nice way to distribute load between team members. Highly flexible searching tools. "Modern and clean issue tracking system"
It has a good integration with other production from JetBrains. It has a cloud hosted solution. It's not that flexible as it might be, so it mostly for a software development processes. I use it for working with bug requests and it works perfectly for that task. "YouTrack is a complex and convenient bug database offering unique methods for all users." It offers a large amount of options (such as viewing it like a standard database or as an agile board) for users and varying options for each project. Currently my biggest issue is in relation to searching. There may be some ways to correct this that weren't setup correctly when we started using the service but currently I run into unusual issues when I attempt to search unique states an issue is in with multiple exact terms resulting in inaccurate results. YouTrack offers a large variety and can even be very complex but offers easy to use shortcuts that make for simple navigation. YouTrack is being used for bugs and tasks in Software Development. "Great application for managing cases"
The ease of use is what I love about youtrack! It was very simple to catch on and ticket tracking has never been so smoothe. Maybe add a little more reporting and metrics. Other than that, great product! "Easy to learn and manage"
YouTrack has been a great tool for both internal and client QA. It's easy to learn which is great. It can be difficult to ensure clients can only see their project and not all others. We now have a consistently used and centralized QA/bug tracking tool. It's really convenient, reliable and fast software. I like how API works, easy to get data from the system. Nothing so far (2 years of experience). Won't make up anything. First give it a try. Easy tracking and movement of tickets. Customizable. Agile board doesn't show dependencies easily. Reporting capabilities very limited, need third party like periscope data to visualize what I want. * We monitor all YouTrack reviews to prevent fraudulent reviews and keep review quality high. We do not post reviews by company employees or direct competitors. Validated reviews require the user to submit a screenshot of the product containing their user ID, in order to verify a user is an actual user of the product. Hi there! Are you looking to implement a solution like YouTrack?